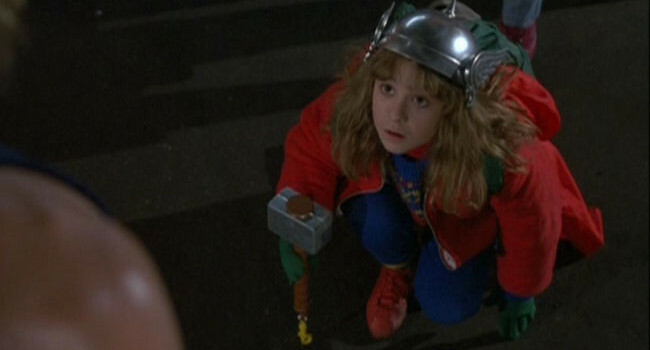 In Adventures of Babysitting, Sara Anderson (Maia Brewton) is a 10-year old girl with an extreme obsession with Thor. She even wears a Thor helmet and carries around a toy hammer. When she sees a car mechanic named Dawson wielding a sledgehammer, she bows down to him as if he were the Norse god.